Congenital heart disease is found in 8 out of every 1,000 newborn babies every year, and close to one million adults live with mild to severe congenital heart disease in the United States today. Congenital heart disease (also called a congenital heart defect), can present a range of symptoms, from fatigue and poor respiration to heart failure. With the advances in modern medicine, however, congenital heart defects are easier to detect than ever, and can be treated through medication, internal stents, or open heart surgery. In some mild cases, the congenital heart defects will repair themselves or do not cause enough of an issue to need treatment. 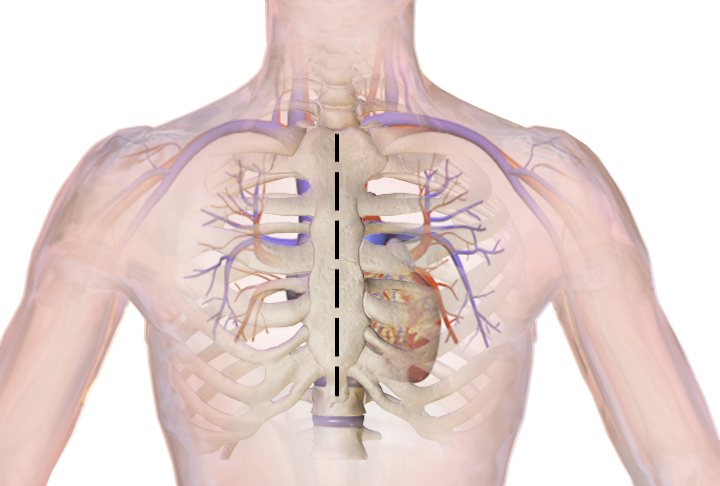 One of the most common forms of congenital heart disease are septal defects. Septal defects are holes that are found in the walls or valves of the heart. Because of the construction of the heart, a hole in the ventricle wall can lead to a mixing of the oxygen poor and oxygen rich blood, leading to a lack of energy, fatigue, and intense strain on the heart. Small septal defects often heal on their own, and do not require treatment. However, moderate to severe septal defects require open heart surgery to correct. Another common form of congenital heart disease is called Patent Ductus Arteriosus. This congenital heart defect occurs when the ductus arteriosus fails to close a few days after birth. It can lead to mixing of the oxygen rich and oxygen poor blood in the heart, and cause growth issues in infants, as well as trouble with respiration and problems with circulation. Patent Ductus Arteriosus is difficult to detect early on, and may appear as a heart murmur (an inconsistent heartbeat). This being said, Patent Ductus Arteriosus can often be treated through medication. Congenital heart disease can manifest in many other ways, such as narrowed valves and arteries, poor circulation pressure in the heart, and issues with the structure of the arteries and veins themselves. However, through early detection and intervention, many children with congenital heart disease can lead a happy, normal life without being slowed down. Modern treatments can help smaller defects without requiring invasive surgery, and can help children born with congenital heart disease live healthy lives. If you have any questions about congenital heart disease in children, or are looking for specialized treatment for your child in the Oregon area, contact Pediatric Cardiology Center of Oregon to speak with one of our cardiologists. Our team of specially trained medical professionals are happy to answer any of your questions, and can help your child get the treatment they need to have a happy, healthy heart.